I think I may have been a little negative lately about Germany and German habits. You see, I have criticised the Germans clothing habits and their rudeness. As most expats will tell you, living in a new country has ups and downs and adjusting to a new way of life takes time. I think our family was/is experiencing what some call a culture shock. Yes, it is possible to have culture shock within Europe. To redeem myself, I thought I'd write about why we like living in Germany and in Karlsruhe, in particular. There are indeed some good things about living in Germany too. (Bare in mind that we lived in the UK before, so this often is my comparison point). The first thing, I instantly loved about Germany and Karlsruhe, in particular, were the many playgrounds for children. Within walking distance for a toddler and young child, we have about 7 large playgrounds (not counting the small structure in our complex's courtyard) and they are all fabulous. Health and safety has not gone mad with reducing risks to 0. Kids are encouraged to be kids. 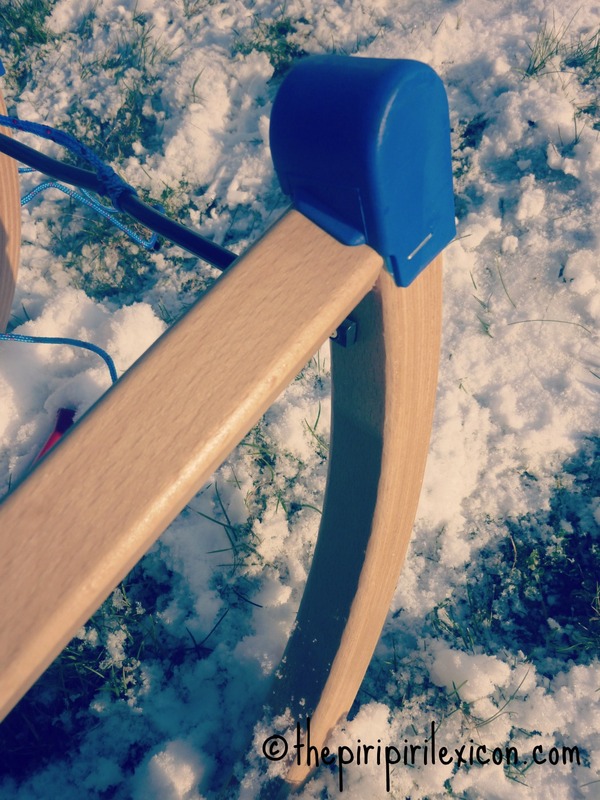 Water play is common (water is switched off in the winter). The sand is clean. The structures are age-appropriate and there are some for all ages (from toddlers to teenagers). Wood is omnipresent (as opposed to plastic). Love them! Yes, I am going to say that the Euro is a good thing. I will leave the political and financial debates to others. But from the point of view of expats and travelling, the Euro is great. We don't need 3 wallets with different currencies. We can go 'home' to France or Portugal and still use the same one! We can transfer money to family more easily. We don't need to pay so many bank charges. We can buy things without having to have a degree in maths. Where we live is quite flat, but even across Germany generally, cycling is much more common than in Britain. We own a little bike trailer and a child seat. Our daughter has a balance bike and my husband has more bikes than I dare count. We love the fact that a lot of people cycle everywhere. Cycling is safe, practical and great for you whatever the season. Germany is at the centre of Europe. I don't mean politically (even though it may be true too)! I mean geographically, we are pretty much at the centre of Europe. Why should you care? Well, because holiday planning is so much fun! In one day's drive we can reach about 12 different countries. Multiculturalism has never been so easy. The continental climate of Germany makes it very enjoyable for a family stuck in Britain for 13 years. We have proper seasons, at last. Winter is cold, very cold. And summer is hot, very hot. I guess the downside of this is that spring and autumn don't last long. We haven't reached that yet. But, we are quite pleased that children are left to be children until they are 6 years old. Almost every child goes to kindergarten from 3. But these are far from being the equivalent of the French Ecole Maternelle, for example. 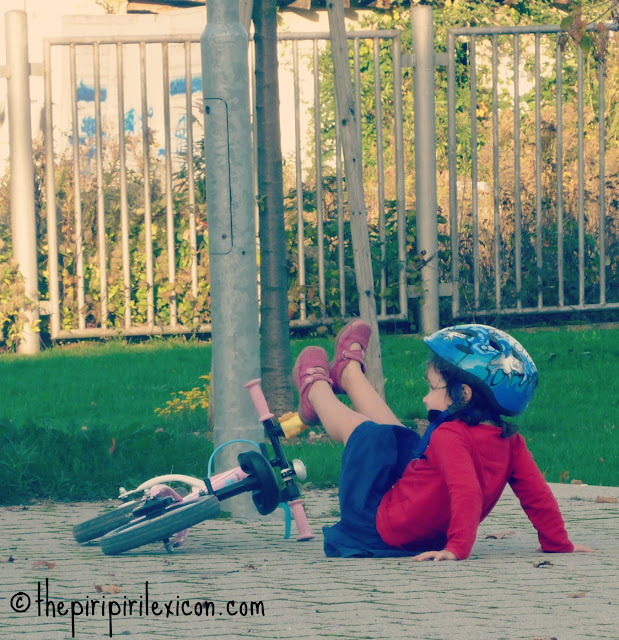 Children play and discover things through play and not formal teaching. Our daughter may not know how to write her name at 4, but being a child is important too. I am sure that if you asked my daughter what her favourite food was in Germany, she would say brezels. 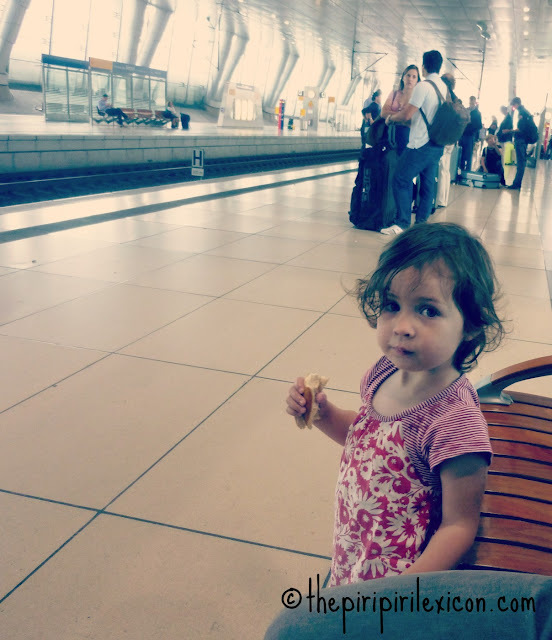 Over last summer, we went away for 6 weeks and on our way back, while waiting for our train home, she requested a brezel as her first snack. German cuisine is not the most refined one but if there is something they do well, it is bread. I love this recipe. Living in the North East of England, we would have had to put our daughter in a mainstream school. There were no such things as bilingual schools. Languages are introduced at primary level but it is far from being ideal. 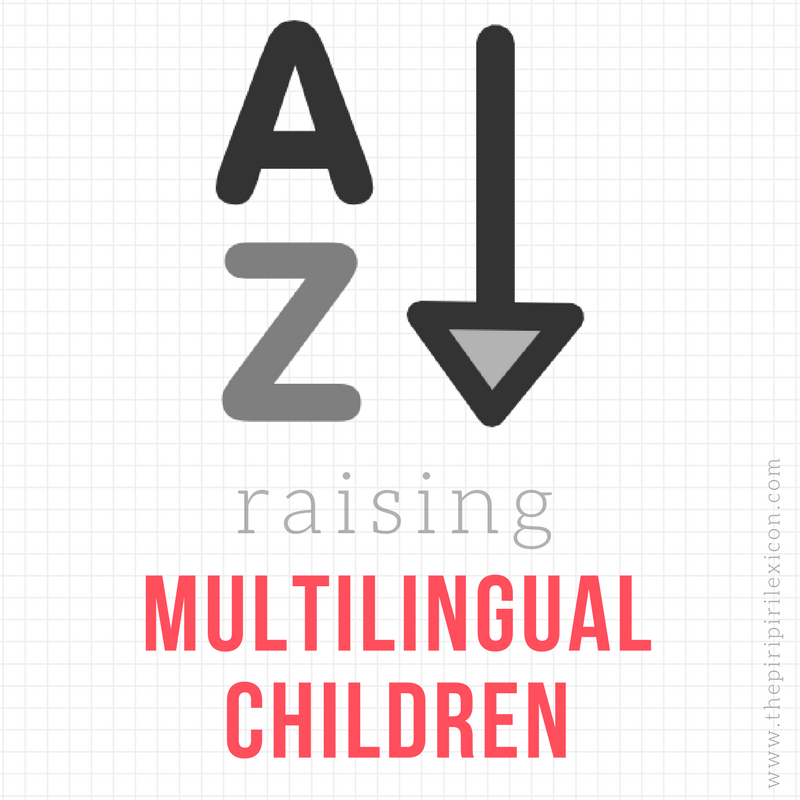 Here, there are a number of bilingual kindergartens (French-German and even one English-German). There is also a European school where children can receive their education in German, English or French with other languages being taught early on. While writing this blog post, P happened to have a look at what I was doing and mentioned I had to put this down! This was going to be a list of 8 reasons we liked Germany, but it became 9. For him, driving enthusiast, the no-speed-limit rule on some German motorways is one of the best things about Germany!! 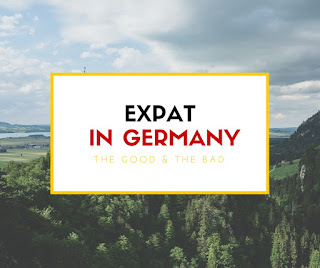 See more about what I think about living in Germany as an expat here: the good and the bad about living in Germany is here. What about you? 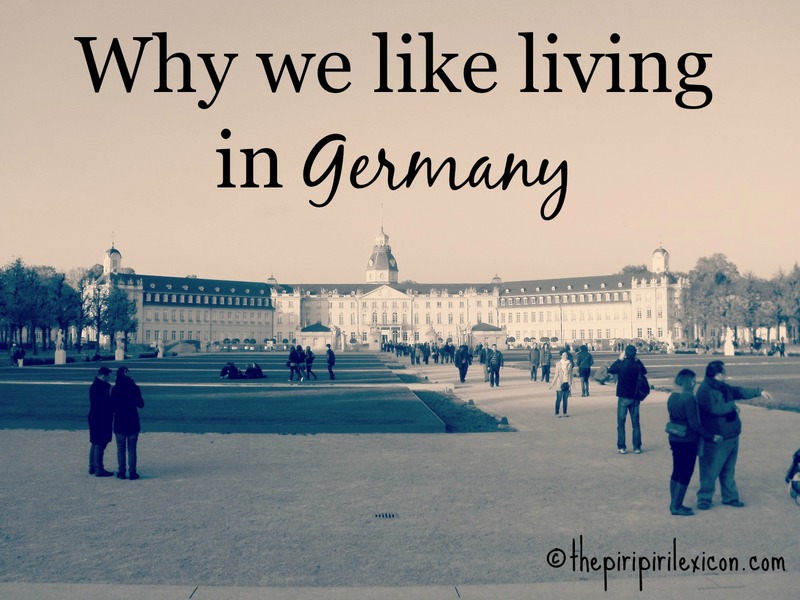 Do you live in Germany? What is your favourite thing about Germany? If you live abroad, tell me what you like most about the country you live in. Thank you for posting this. I've read so many negative things about Germany that it's difficult for me - German in my passport but never lived in the country - to really "like" being German. Really. - But I agree with all the points you mention. I have a post in the pipeline about the things I like living in the Netherlands on my blog. - Thank you again for this positive view. I like that. How does one move to Germany? I used to live there when I was a teenager for a couple of years, and loved it. Now, that I have a family of my own, I would love to move them there and have my kids experience Europe in the best light! Please advise of any job web sites...or anything you can think of. We love Karsruhe area. I like living in the NL for the same reasons and would have liked living in Germany because of your arguments in favor of living in Germany. One point- as a Polish woman I really have to poitn this out! Germany may be the heart of the EU, but not the heart of Europe- that's Poland (according to some!, such as historian Norman Davies-http://www.amazon.com/Heart-Europe-Past-Polands-Present/dp/0192801260 ) and I agree with you on the Euro- but luckily with credit cards it is possible to pay, and withdraw money even when we're in Poland! I love public transport in Germany. Deutsche Bahn can be annoying, but it's sooo much better than trying to travel by train in England! Oh that is a very good one! I forgot about that!!! You are right DB is annoying but nothing can be worse than trains in England! I recently moved to Germany (well Nov 2012) and am having a string of bad run-ins with Germany. Googling "positive things about Germany" sent me to your blog first. I have to say, I'm not swayed by these arguments when the positives about England are so much better! :) I'm trying to stick it out, but everything is soooo hard here! To be fair, I wrote this as a motivation for myself as I was going through a bad time. You may be experiencing a culture shock (as so many expats do). If you fancy chatting, email me (address is at the top. I used to be all for starting school at 6. Unfortunately, the school age thing hit us pretty hard when moving from Germany to the USA. Our son was half way through first grade in Germany and started first grade in the USA with extreme difficulty. He wasn't academically anywhere near where the other students were and although the school was supportive and helped us, he now needs to repeat first grade. His behavior changed dramatically and his confidence suffered. I just hope this school year goes a lot smoother than last. I feel for you. As a mum, this must be difficult. It may not be completely related to the starting age though. But i guess you will never know. Wishing you all a great school year. I lived in Germany a few years ago. I remember thinking that everything was very clean, very "tidy" and well-organised. It always sounds very cliché to say that about Germany but it was one of the first things I noticed! - I only needed to drive 2-3 hours to visit my family back in France! But it's because I lived in Karlsruhe... Would have been totally different in Berlin or Munich. - my partner and I particularly enjoyed the no-speed-limit rule on some motorways. Judith, you and I have a lot in common. I live in Karlsruhe too! I have been to Kaiserslautern, Germany twice and I can honestly say Doener (when prepared well) is one of the best foods I've ever eaten. It might be better than a hamburger and I'm from Texas so you know that's really serious. I just found your blog and I really like it! Mein Deutsch ist noch nicht sehr gut. Aber liebe ich das essen! I am from Denmark, and my girlfriend is from Canada. We consider moving to Germany (It's better than Denmark and Canada in our opinion), but we don't know if this can be done. You see, I search for a place where I can be an apprentice (Either as auto mechanic or IT support), and she wants to study in a university. Can we find a place to live there (together) without being in a huge debt? As an American who grew up with a strong ethnic identity and never identified with American culture, I moved to Berlin after the wall came down. Possessing a wide variety of interests every pub I walked into had stimulating conversation. I thrived living in a real city with the arts and opportunities. The German psyche was too harsh for my sensibilities but looking back now what I loved most was being centrally located, and the diversity, I could travel to any country with the ease of a train ride and get an entirely different flavor, language, culture. etc. Oh, I also love the sense of friendships. generally, it takes a bit longer to get to know people as it does in the US but once you are "friends" with someone, then you are REALLY "friends" and generally they are very loyal! love that. Germany and Germans are the best in the world!!! Love you Germany!!! Love you Germans!!! I am living for Germany and I will die for Germany!!! Long Live Sacred Germany and Gorgeous Germans!!! I am a German, living in the U.S. for many, many years. First, I'd like to say that the food in Germany is really excellent, especially the region from where I am (Palatinate). It varies almost from town to town, and I dearly miss it. The country is beautiful and definitely clean, compared to others. Germans are more direct and not "zimperlich", and I've had a few "misunderstandings" here (U.S.), when it came to how I am and how I felt about certain things. Sometimes, it is quite vexing, when over sensitive Americans are trying to censor you. I sometimes feel, that I can't be myself and it bugs me. Almost wish, I could be back in Germany for so many more reasons. Enjoy Germany and its people. They are friendlier than you think, and loyal to a fault. Once you've made a friend in Germany, they are friends for life. I am an American and would love to visit Germany. I am not sure how I would feel about living there, however. There is much to be said about the expectations for cooperation and hard work in the workplace. Is that consistent everywhere in Germany, or instead a common but not exclusive quality? The castle at Weisseria (pardon my possible misspelling!) is something I would like to behold in person. It's a wonderful country I'm sure. I'm too young to move abroad at the moment because i'm only 17 but Germany really appeals to me to maybe live and work there in the near future (4 or 5 years). I am a student at the moment studying IT in North East England (Sunderland) and I was wondering how hard is is to get a job in Germany in IT. At the moment my German is about average as I studied it at GCSE in secondary school but it will improve as I am teaching myself and getting help with it. I also need to know which part would be the best to live in for a 20 odd year old. I just found and read this article, and I found it quite relieving to read because I plan on moving to germany and living there someday. I was worried about what it would be like and this cleared up some of those worries! "Kindergeld" is 184€ for each child and you have 30 working days paid vaccation a year, if you're a full time employee. Germany and Germans are the best in the world!!! Love you Germany!!! Love you Germans!!! 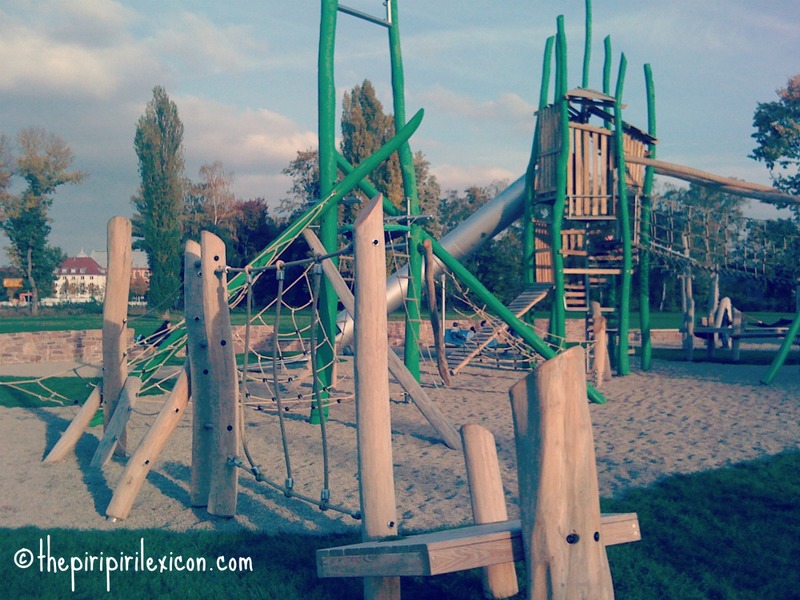 Playgrounds are the best. My sister lives in Berlin. My nephew is 4 years old and he loves to play outside. They are so happy in this gorgeous country. Moving was stressful at first but Germany is a fantastic place for a new beginning. Greetings! My new favorite food is definitely Brezels! I am tired of reading the misleading information that there is no speed limit in Germany on some motorways....If there is no sign that indicates the speed limit, it doesn't mean there is none. This is misconception that many foreigners falsely believe....buy a German traffic rules book and you will read that the speed limit on highways where not specified is 130!!!! (1) Autobahns (sign 330) inside cities. While driving on autobahns through cities, autobahn rules still apply. (2) Contrary to popular belief, many autobahns have speed limits. Where no limit exists, the recommended speed limit for single vehicles with up to 3.5 tons of authorized loaded weight is 130 kph. This recommended speed limit should be observed even under the best road, traffic, and weather conditions. In addition, drivers must consider their driving experience, the speed rating of their vehicle’s tires, and the vehicle load. Drivers who exceed 130 kph will be held liable if they have an accident. Sure, plenty of motorways or sections of motorways have speed limits. But when there is none, it is a recommendation, not a limit: "This recommended speed limit" It is not a rule. And Oh my God, nobody drives at 130!!!! Everyone drives above.